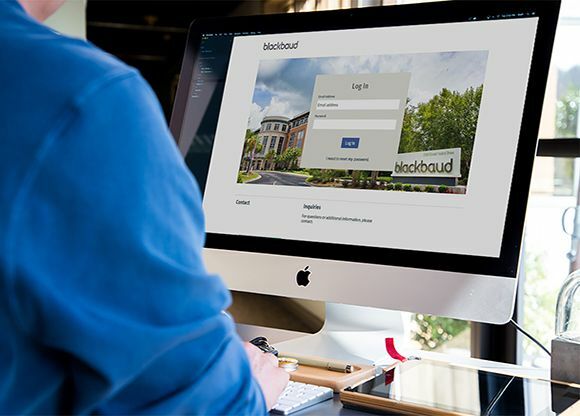 Blackbaud executes an incredible number of customer events a year. The marketing team explained how time consuming it was to manage all of the inbound shipments of promo and apparel, store those items, and then later ship them out to field staff and event sites. To alleviate this bottleneck, we built them a company web store. All of Blackbaud’s approved items for each department are now on one website. Each department sees only their selected items. All items are inventoried in our warehouse and they are shipped on demand with just a simple click of a mouse. Product never clutters up the office and no one spends valuable time repacking items and shipping items out to the field. Blackbaud is always on the lookout for new and meaningful branded items to give to customers. However, the process of researching items, contacting vendors, and ordering samples can be quite an ordeal. To save everyone’s time, we brought an entire showcase of promotional products and apparel to Blackbaud headquarters. We selected only the newest or best-selling items while remaining within each department’s budget. Buyers were able to experience a wide selection of relevant items during a quick visit.